Much has already been said about Mikael Jonsson’s restaurant Hedone in Chiswick. An ex-blogger, he has gained notoriety in foodie circles as an ingredients expert who has spent many years meticulously researching produce. A trained chef originally, he switched careers to join the legal profession before switching back to his true love, food. The result is Hedone, which if nothing else, is interesting and thought provoking for what is essentially a debut restaurant. The choice of location in Chiswick on the Gunnersbury border is a bold move. This makes it a restaurant you have to want to travel for, and on the whole it was worth the trip. The décor is modern, inviting and relaxed, with an open kitchen that adds a further interactive appeal to the dining room. The staff was enthusiastic, informative and helpful. 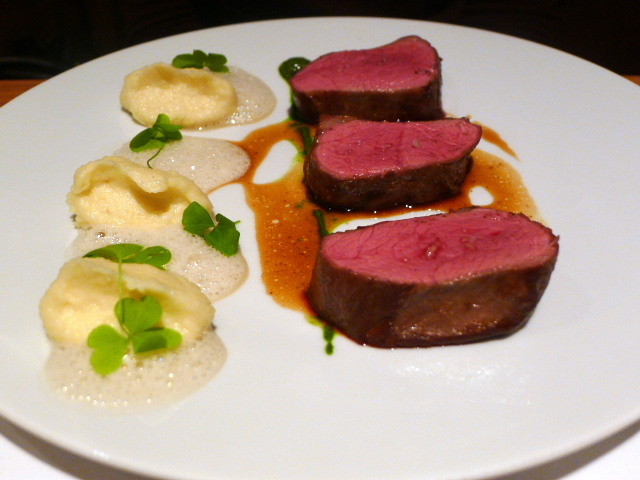 The menu is compact in choice and is priced according to the number of courses you order. There is also a 7 course tasting menu. 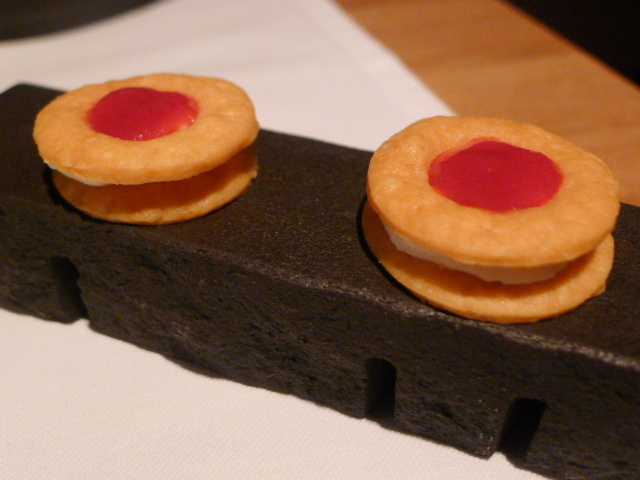 We kicked off with a cheese biscuit appetiser with a raspberry topping. The biscuit was light and airy, and the raspberry was pleasant. An amuse bouche of umami flan with seaweed was stunning. 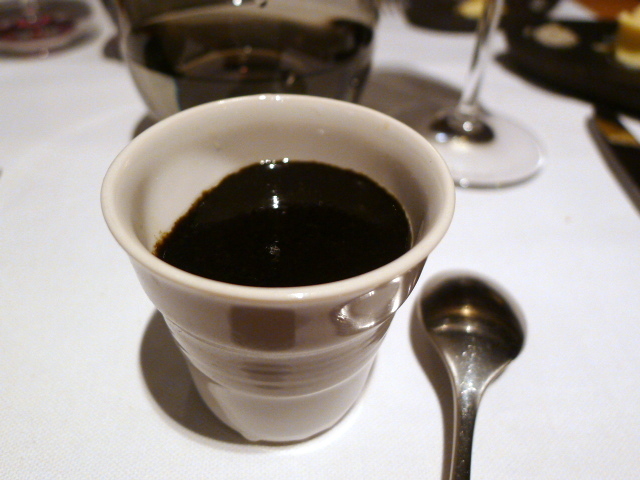 The savoury notes of the umami in the form of a set cream were accentuated by the earthy flavour of the seaweed. This was a dish worth of a Michelin star. 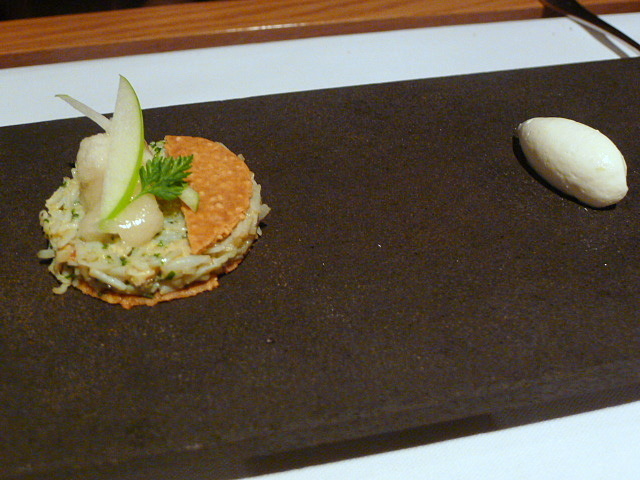 A Dorset crab ‘tart’ with a sesame crispbread and Granny Smith cream was lovely and fresh. 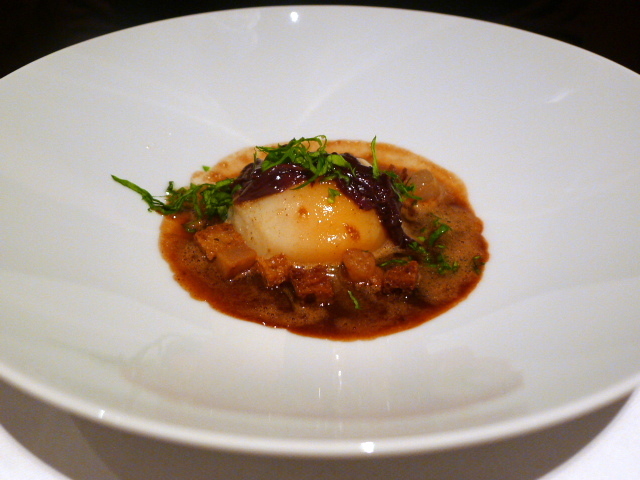 The biscuit provided a wonderful textural crunch, with the apple adding a sweet acidity to the crab. There was an airy dexterity in the tart which was quite bewitching. 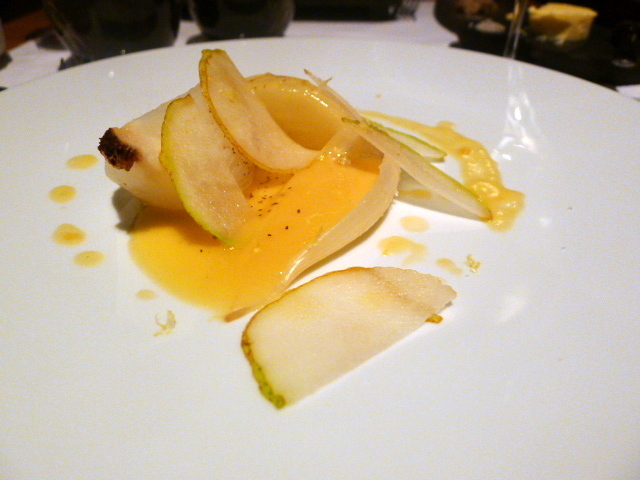 I couldn’t fault the wonderful freshness and the quality of the ingredients in a dish of Cévannes onions with pear shavings and beurre blanc. However, on the whole, I found this course dull and unexciting conceptually. 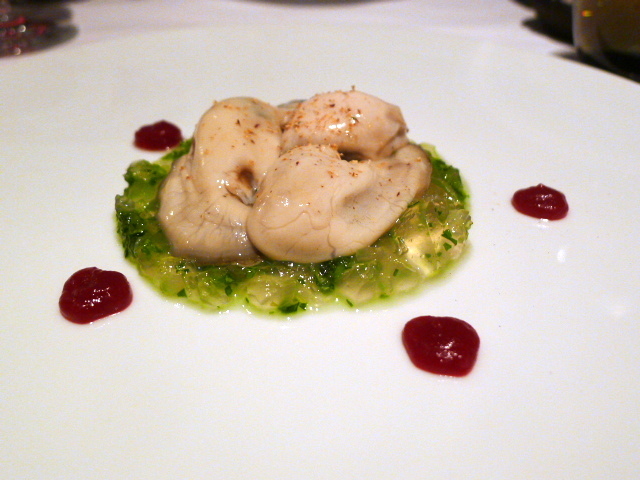 Poached rock oysters were meaty and juicy. The accompaniments of watercress jelly and beetroot reduction worked well with the oysters, although the jelly was a little cold against the warmth of the oysters. A duck egg ‘meurette’ was beautifully cooked. The yolk was a luscious golden colour and was firm, yet soft. The meurette was scrumptious and boasted of a bold and rich beef stock flavour. This was a lovely dish. 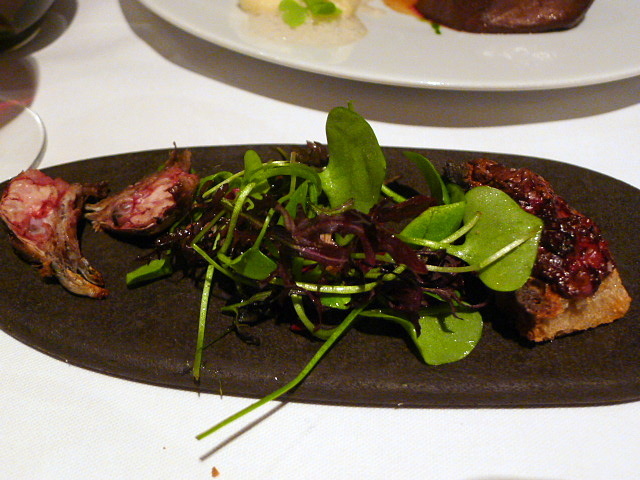 Roasted Sika deer with pan juices and wood sorrel was pink and perfectly cooked. Smoked mash potatoes were light on smokiness but nevertheless were wonderfully creamy and tasty. Roasted grey partridge was gamey and tasty. A watercress sauce, similar to a purée in texture, was a nice touch. 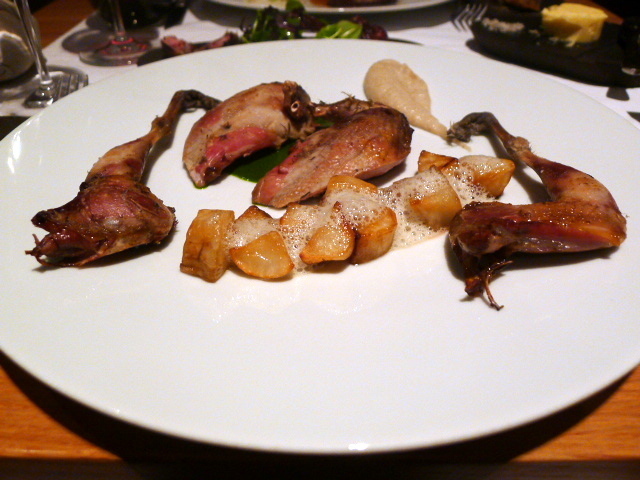 But for me, this dish screamed for a jus of some sort, without which, the partridge almost felt dry. Jerusalem artichoke served roasted and in purée form, was wonderfully tasty. The dish came with an optional side of partridge offal in the form of brains and a yummy heart and liver paté on a crostini. 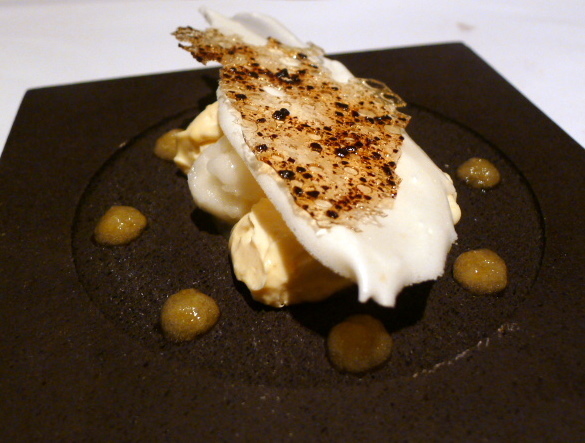 A variation of lemon in the form of meringue, custard, sorbet and confit was amazing. The sorbet was sharp and zingy, and the gentle acidity coming through from the other variations of lemon provided a fantastic counterpoint to the sorbet. This was a superbly balanced and refreshing dessert. 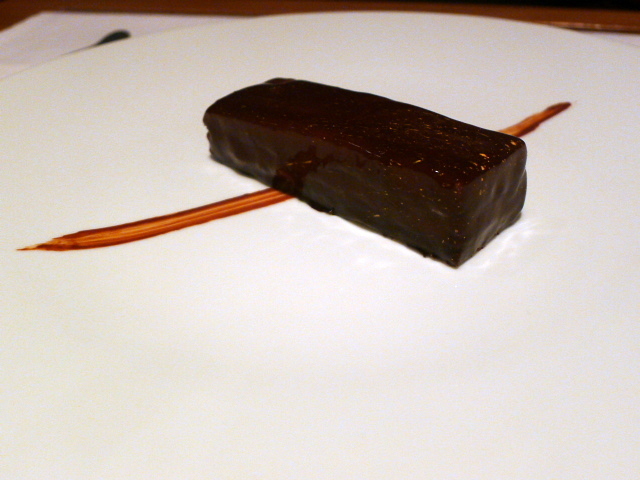 Hedone chocolate, a layered dessert with an almond dacquoise, ganache, praline and a chocolate glaze was very tasty and well made. But it seemed to lack for a biscuit-y crunch and a deeper chocolate-y richness which could have made this dessert amazing. This meal was not without a few minor questionable points, and I didn’t entirely agree with all of the dish compositions. That said, Hedone was conceptually interesting and particularly admirable for its single-minded focus on the use of quality ingredients. And the cooking was fairly fault-free and cannot be considered anything less than exceptional for what is a debut restaurant. Hedone is a restaurant worth applauding. Price range: Four courses for £50, five courses for £60. The seven course tasting menu is £75. Excludes drinks and service. After reading your blog fir a couple of years I have to say that wit out doubt it is the worse food blog I have ever read. Your knowledge is certainly questionable. Sorry I don’t mean to cause offence I just have let my opinion be heard.